Today, our guest is Janet Sketchley, the author of Secrets and Lies. Janet is the author of Heaven’s Prey and Secrets and Lies, two novels of suspense and redemption. She also blogs about faith and books. Janet loves adventure stories, worship music, tea and Formula 1 racing. Like Carol in Secrets and Lies, she loves music and tea. Unlike Carol, Janet isn’t related to a dangerous offender, has a happy home life, and has never been threatened by a drug lord. May those tidbits continue to hold true! You can find Janet online at her website. Fans of Christian suspense are invited to join Janet’s writing journey through her monthly newsletter. You can also catch up with Janet on the Secret and Lies website, on Facebook, Twitter, Amazon Author Central, and Pinterest. Janet, welcome to Inner Source. I enjoyed your story of Carol Daniels. It has plenty of suspense, along with some pretty important issues that Christians often have to wade through. Would you mind telling me where the idea from the story originated with you? Thanks for inviting me to visit, Fay, and I’m glad you enjoyed Carol’s story. I “met” Carol through writing her brother Harry’s story in Heaven’s Prey, and I knew her life had not been easy. I also knew she needed the Lord. 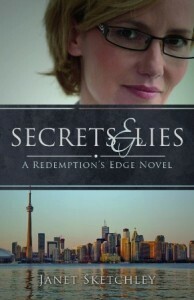 Secrets and Lies gives her the chance to find Him—unless her enemies find her first. I think themes like trust grew out of who she is and the choices she’s made. 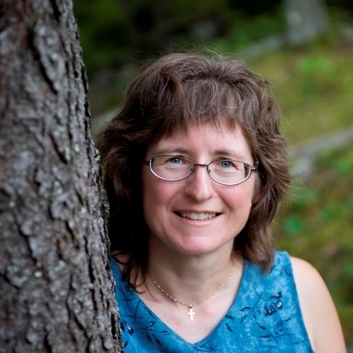 Carol is a woman who has suffered a lot of loss, and she endures different types of grief. I’d even go so far as to say that relief was a part of her grief when it came to certain people. Did you write this character from experience? She’d tell you that losing her husband was a relief! I didn’t write Carol’s grief from experience, although the grief of friends and fictional characters over the years helped me imagine what it must have been like for her. The parts of Carol that come from my experience are more linked to her—ahem—controlling tendencies and her fear. Not that I have tangible enemies, like she has. Your heroine is a tough one. She seems to handle things that are thrown at her with more strength than I think she even realizes. Have you had an example of someone in your life who has exhibited this type of strength? Carol doesn’t realize it, no. All she can see is the ongoing battle. It’s funny you’d ask about a real-life example. I could list Christians I know who rely on God’s strength and survive multiple storms, but Carol is someone who survives on her own. (At least she thinks she does—who knows how much strength the Lord subtly lends to those who are still on their way to finding Him?) You’ve reminded me of a friend who was like Carol in the sense that she’d ask us to pray for her while refusing to pray for herself. K was strong, sweet-tempered but very persistent. She, too, had a difficult marriage and her husband died suddenly. Her life wasn’t easy even then. I longed to see the Lord draw her to Himself, and my prayer and hope is that He ultimately did so before she died. What would you, the author, say to someone who approached you and talked to you about grief, fear, and the regrets that Carol seems to have? Would you have a Biblical response for him or her? There’s no easy answer for a person with deep hurts, and I’d be praying for wisdom of what and when to speak—and when to be silent. I think key, Biblical aspects of a response would include a reassurance that it’s okay to bring God our questions and our pain (think of David in the Psalms) but that we need to keep looking at God to see what He might say or do. Also that we can trust the heart of God—not to do what we want, but to love us and to work even in the worst times. So I’d encourage the person to discover God’s character through His Word. Ultimately, it would be God Himself who opened the person to believe and receive His love. In the novel, the character of Joey says a few of the things I’d say: trusting the heart of God, prayer is important, and that we can work with God to re-shape our fears and reactions. As Joey does with Carol, this sort of conversation is long and slow, with lots of pauses. The best thing I could give someone in this situation would be my care and attention, and a willingness to walk with them no matter how far the journey appears to be. Please tell us a little about your upcoming release No Safe Place and about any other future releases. The Redemption’s Edge series introduces three members of the Silver family: villain Harry, his sister Carol, and their cousin Amy. In No Safe Place, Amy Silver is injured in the plane crash that kills her fiancé. His best friend’s offer of shelter sounds ideal, even if the faith he lives by seems too good to be true. But has she found sanctuary… or something more sinister? I hope and trust there will be more stories after these, but they’re just thoughts and vague ideas right now. Thanks so much for hosting me, Fay. You ask thought-provoking questions! It was fun answering as Carol in her interview, too. Janet, it was a pleasure having you with us, and I can’t wait to share your post on Friday. A single mother must protect her teenage son—from organized crime and from himself. Carol Daniels thinks she out-ran her enemies, until a detective arrives at her door with a warning from her convict brother. Minor incidents take on a sinister meaning. An anonymous phone call warns her not to hide again. Now she must cooperate with a drug lord while the police work to trap him. Carol has always handled crisis alone, but this one might break her. Late-night deejay Joey Hill offers friendship and moral support. Can she trust him? One thing’s certain. She can’t risk prayer. Besides the Amazon link given above, Secrets and Lies can also be purchased at Createspace, at Amazon Canada, Kobo, and Barnes & Noble. Thanks again, Fay. You ask good questions — definitely made me think!